I remember the first time I met Hally and Lou last year. These two young women were taking time and intention to create their wedding day and without question, I was delighted to be the lucky one to share in the ceremony of their wedding day. In celebration of their Buddhist tradition, we celebrated two young women with a vibrant, inspiring and courageous love story of 4 years – a ceremony that wove in elements from the Buddhist path including the sharing of Mala beads. 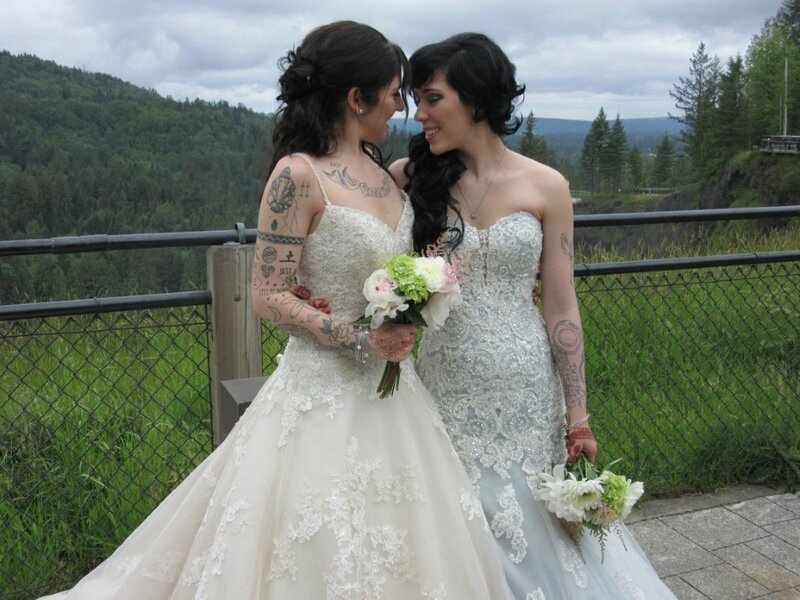 Joined by their closest family and friends, Hally and Lou exchanged very beautiful and personal vows at the Salish Lodge’s Hidden Terrace, with the roar of the Falls and Mother nature behind us on this auspicious morning, May 16th. I am eager to see where life takes Hally and Lou…congratulations to such a beautiful couple!